Live large in this spacious colonial nestled on a little over on acre in Edgartown! The open floor plan with high ceilings is the perfect complement to this 3-bedroom and 3.5 bath Island retreat... A formal dining room, open study, well equipped kitchen and living room with propane fireplace all flow to the spacious outdoor deck, ideal for any summer barbecue! Two large guest rooms and a master suite complete with a private balcony provide plenty of room for family and friends. A finished basement, beckoning a rainy day, round out this perfectly appointed home. 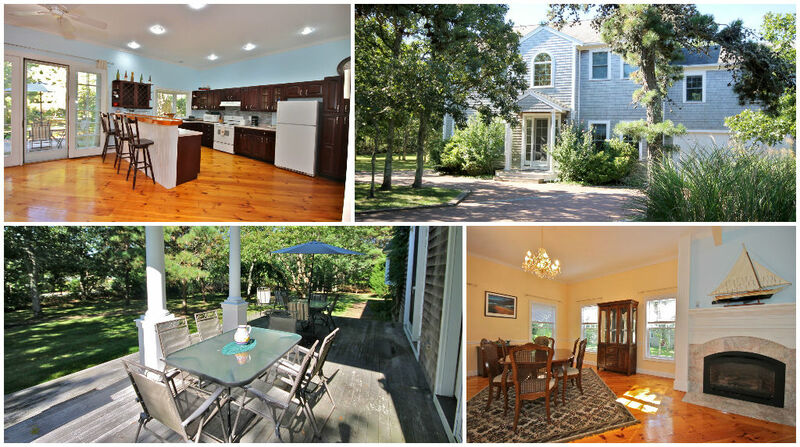 Convenient to Edgartown Village and South beach this property truly is an Island oasis!